The Douglas Hyde Gallery is delighted to present an ambitious new artwork that explores the politics and conditions of visibility. 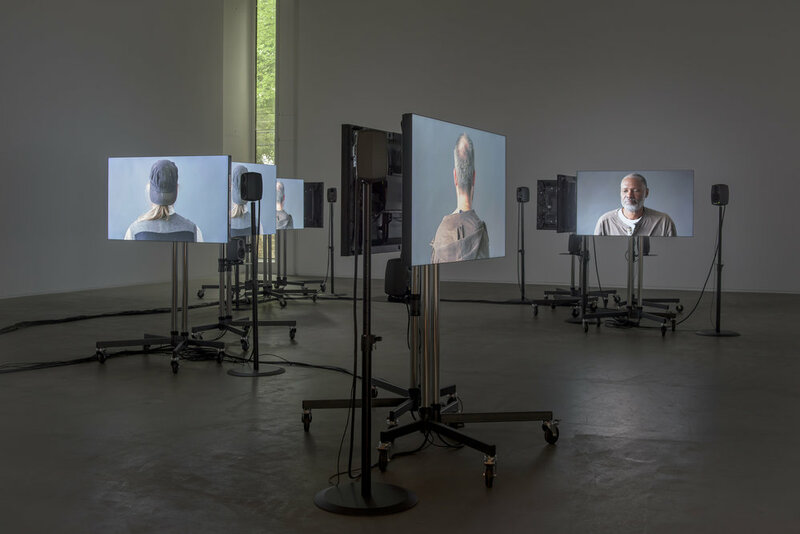 Initiated by Dublin-based artists and long-term collaborators, Sven Anderson and Gerard Byrne, A Visibility Matrix assembles contributions from a distributed panel of artists, film-makers and others within a synchronised, multi-channel video installation that will be presented for the first time in Gallery 1 of The Douglas Hyde Gallery. 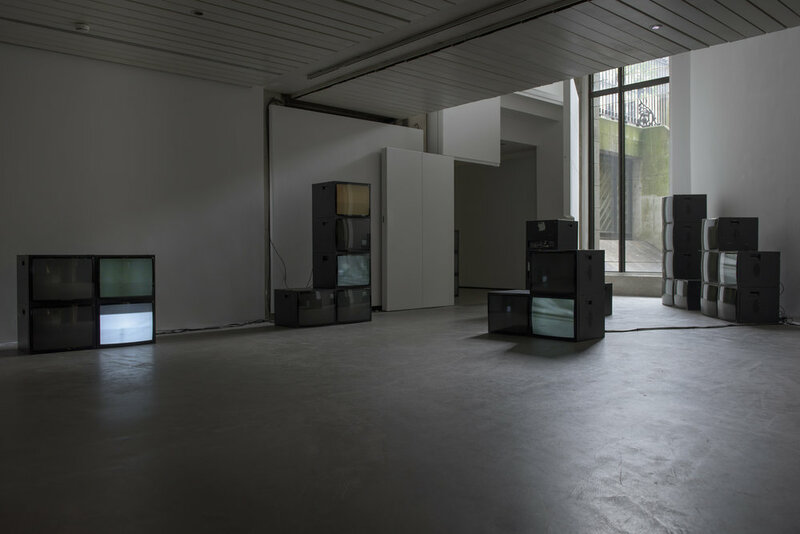 A Visibility Matrix unfolds as a response to the ambitions of abandoned art and technology projects from the 1960s–1980s that prioritised multiscreen video projection, monitor arrays, communications networks and algorithmic composition principles. 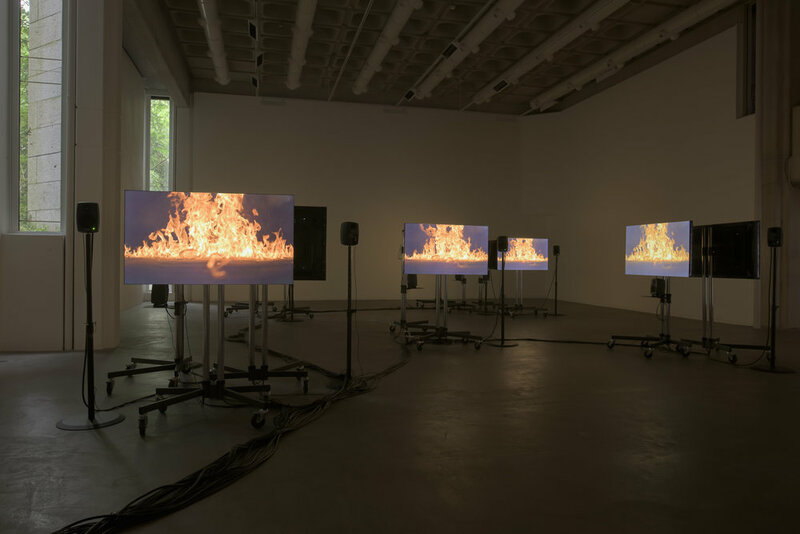 These projects explored visual excess and hyperstimulation prior to the development of the Internet, and before multi-screen video displays expanded into the vernacular backdrop of everyday public and private life. Considered now, the plural voices of these experiments in perception and communication simultaneously prophesise and bypass the homogenised conditions that have come to be accepted as network culture. Exploring the paradigms of what we see and how we construct visual knowledge, A Visibility Matrix returns to the instincts of these projects. 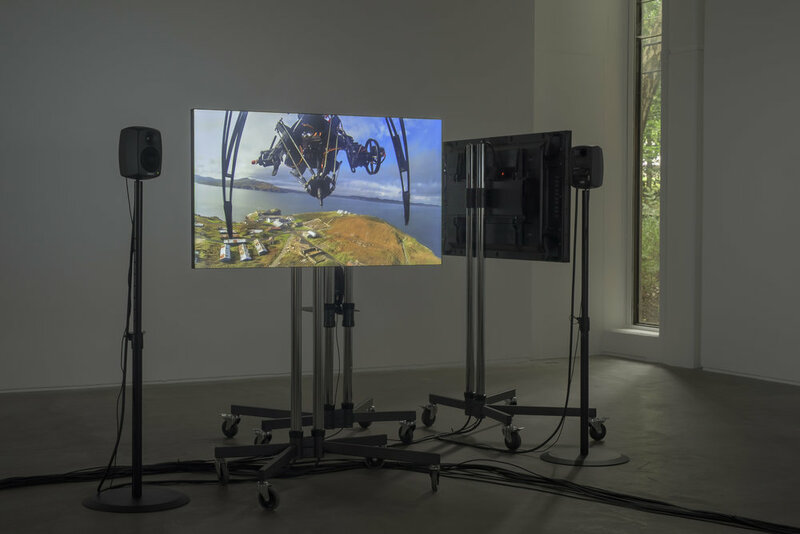 It proposes a condensed counterpoint to the migratory, hyper-networked nature of visibility in contemporary culture by conjuring an offline matrix of video material presented in the gallery space for communal observation. The artwork speculates on an alternative to the composite formed by subject + smartphone + online-video-sharing-platform that has come to represent the current standard of visibility. It gathers content through an associative network of collaborators including visual anthropologists, cinematographers, documentary filmmakers and others from across the globe. By shifting focus from the production of images for sharing online to their reception in a shared, fixed-time spatial context, A Visibility Matrix offers another window on visual excess, confronting its own situated spatiality in order to reflect the more universal conditions that it addresses. 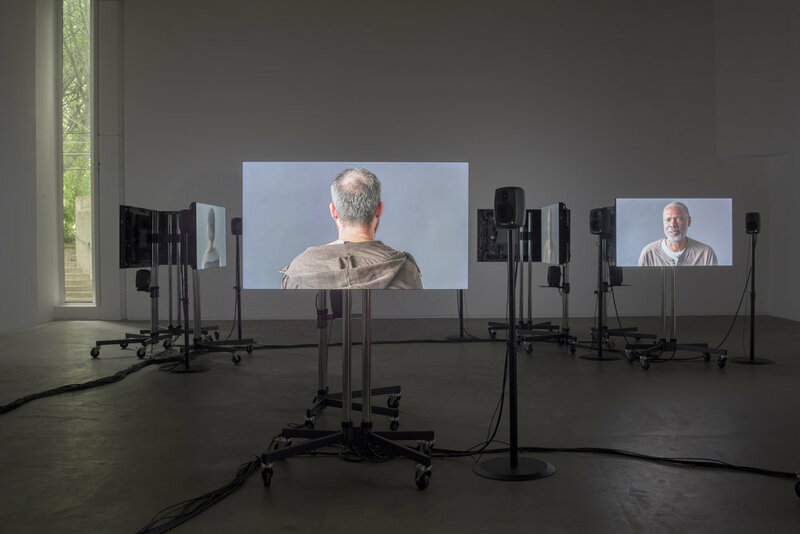 A Visibility Matrix manifests as a network of screens and spatial gestures, in which we observe images being duplicated, mirrored and displaced. These gestures unfold over days and months of exhibition, pursuing both repetition and re-assembly. 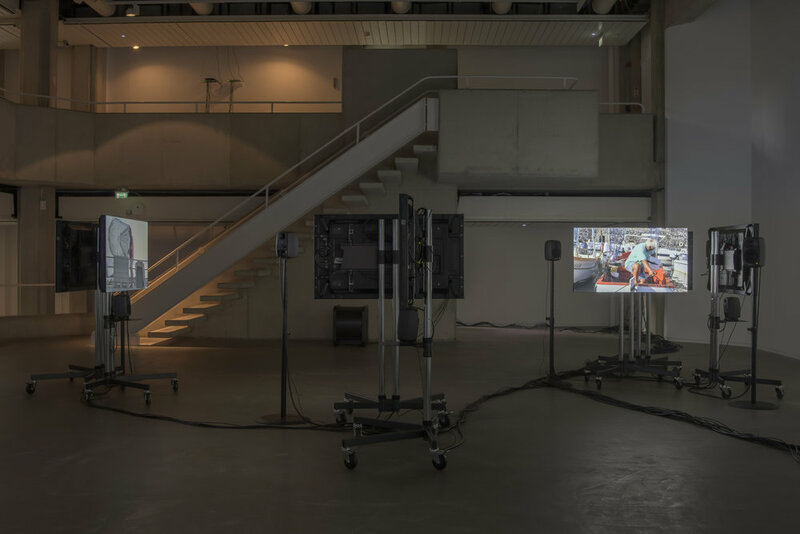 This system speculates on the possibilities of video not as passive image but as an active signal, and the gallery as a site of condensation; a shared space and a space of reflection. This material was gathered, filtered and annotated working with editorial collaborators Matthew Bakkom, Victoria Brooks, Rhea Dall, Moritz Fehr, Igor Grubic, Dan Kidner, Nikos Papastergiadis and Oraib Toukan, and assembled with support from Louis Haugh and Fiona Marron. A Visibility Matrix is an artwork formed through its infrastructure, system design and spatial permutations. The artwork will continue to evolve as it moves from space to space, from the Toulouse Arts Festival in September 2018 to Void Gallery in Derry/Londonderry in January 2019. This project is supported through the Arts Council’s Making Great Art Work - Open Call 2016, an Arts Council initiative which funds ambitious, one-off artistic projects by some of Ireland’s best artists and arts organisations. Image: Sven Anderson and Gerard Byrne, A Visibility Matrix, 2018, production image. Courtesy of the artists. Images: Sven Anderson and Gerard Byrne, A Visibility Matrix, installation view. Photography by Louis Haugh.